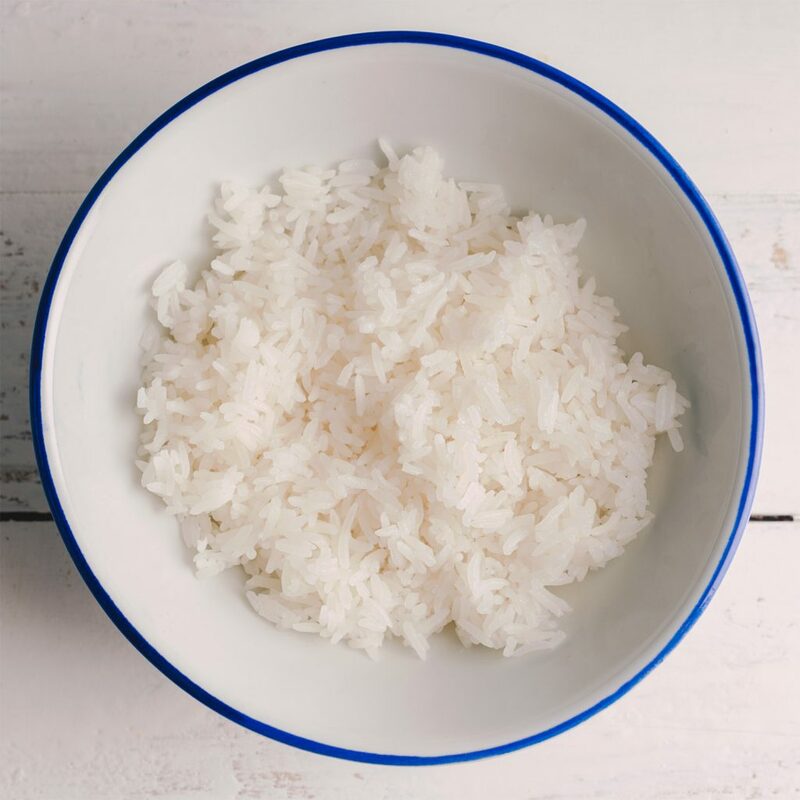 Place the rice into a fine sieve and wash with water to remove excess starch. Drain the water and place the rice into a saucepan. Add 3½ cups of water. Heat the rice over high heat until the water starts boiling. Then reduce the heat to medium and cook until you can see the rice grain starting to rise above the water. Then cover with a lid that is slightly ajar to let some of the steam escape. Cook for 5 minutes. After 5 minutes it should look like all of the water has been absorbed by the rice. Turn the heat off and cover completely with the lid. Allow the pot to sit on the warm hotplate for 10 minutes to allow the steam to continue cooking the rice. Use a fork to fluff the rice grains and transfer to a large baking tray. Place the rice, uncovered, in the fridge for at least 30 minutes (overnight is best though) before using for fried rice.